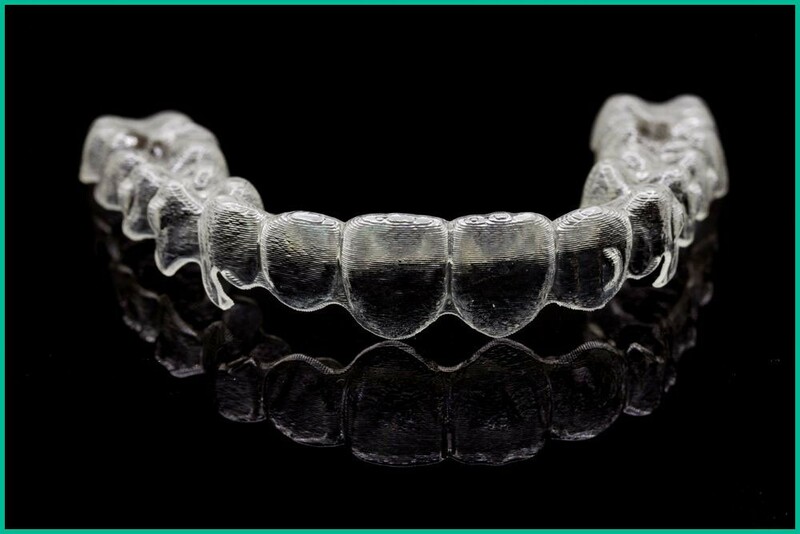 Clear Aligners are an aesthetical orthodontic appliance used for teeth straightening. Anyone who is undergoing this treatment surely wants to know ‘how to make the aligner treatment more comfortable and faster?’ In any dental treatment, the patient plays a vital role towards its progress and result. Somehow, patient behaviour can affect the quality and timeline of the treatment. As much as you fulfil the commitments of your treatment, the treatment will end with the desired result. Wear Your Aligners Full Time: Aligners must be worn for 22 hours per day for a regular period of 14 days before switching to the new set of the aligners. Aligners only work if you wear them for the prescribed time. In fact, in the initial 48 hours try to wear aligners as much as possible because in the first two to three days aligners move your teeth and for the rest of the days they maintain the new position of the teeth. Of course, you can remove them for eating, drinking, brushing and flossing. Put The Aligners In At Night: Try to switch your aligners before bedtime. This will allow them to adjust properly while you sleep and when you will wake up in the morning, you will find the aligners comfortable. Read More: Why Should you Wear Aligners for 2 Weeks or 14 Days? Use Chewies and Outie Tool: These tools come with the aligner box. They are specially designed to make the aligner insertion and removal process more comfortable. Many patients have complex teeth structure due to which they find it difficult to insert and remove the aligners. When you insert the aligner in your mouth, bite on the chewies slowly. By doing this, the aligners will snugly fit over your teeth. Outie tool is like a hockey stick. Outie pops the aligner trays out quickly and easily. It is more beneficial if you have any tooth attachments. Keep Your Mouth and Aligners Clean: If the aligners and your mouth are not clean, then things will not work out as planned. An unhygienic mouth can invite bacteria and plague to enter the aligners; this will affect the aligner quality and performance. Brush or rinse your mouth properly every time you eat and then put the aligners back in your mouth. So make sure your mouth and aligners are clean always. 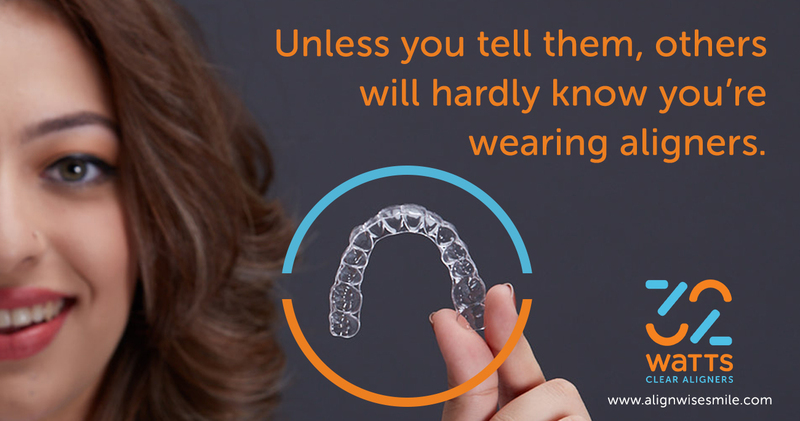 Keep Aligners in a Safe Place: Clear aligners are compact and clear, and some patients find them easy to misplace. Therefore, it is important always to store the aligners in the provided carry case, when not in use. Never put them elsewhere in your pocket, bag, etc. Don’t wrap up them in a napkin also. Many patients have been found contacting their doctors for damage or misplaced aligners, to get the same pair again. Keep the aligners away from the kids and pets if you have. Have Some Patience: Good results do not come quickly. You should be patient while the treatment is going on. Don’t switch to the new aligner before 14 days if you do not feel any movement after wearing them for 3-4 days. Slow down; they are working fine. Aligners give you the flexibility to eat and drink whatever you want but make sure your aligners are not off for more than 2 hours in a period of 24 hours. So, these were the ways to make your aligner treatment more comfortable. Clear aligners are more comfortable, convenient and hassle-free than metallic or ceramic braces. If you are seeking a teeth alignment treatment consult an orthodontist and ask for clear aligners.